Way back in time, the game of football was officiated by a single Center Referee and the two Assistant Referees. This was until the evolution of the V.A.R (Video Assistant Referee) technology introduced untold sanity into officiating the game. The V.A.R is a background crew of Referees who attend to the game through the Center Referee from a Control Center via Information and Communication Technology ICT. The end result is a game with little or no margin for officiating errors. The illustration above draws inference on the fact that there is more efficiency achieved, when a majority is involved in any action within an entity. A centipede would navigate in the direction of motion of a majority of its several tiny legs. The same logic applies on the issue of national security in any nation. A majority of the citizens must be patriotic enough to have a zero tolerance for anything which as much as whispers the profile of criminal action. In advanced nations of the world this truth is very evident. From the coasts of the United States of America, to the British Isles, right through the U.S.S.R, down to the Japans in the Far East etc. Certain instances of actions against criminal intent are initiated by the patriotic civilian populace who escalate emergency calls to ‘911’ as it is observed with the United States as an example. The fact remains that the collection of very efficient security outfits in such nations cannot do it alone. The strength of their success lies with the collective patriotic actions of the majority of the Citizens. Our case in Nigeria ought to follow this logically sound norm; however it must be different considering the myriad of security challenges currently besieging the nation of Nigeria. Daily illustrations are so numerous it’s almost uncountable and not worthy of mention. Regardless the reasons behind the trend, the bitter and unacceptable reality remains that the priceless value of any single human life must be upheld in the nation of our dream Nigeria. The dream Nigeria is a country where every single patriotic citizen is a Sheriff. This is excluding the already established security outfits: the NPF- the Nigeria Police Force, the NAF- the Nigerian Armed Forces, the DSS- Department of State Security Services, the NDC- the Nigerian Civil Defense Corps etc. The dream Nigeria is a country where the foundation of effective National security is built around the daily patriotic actions of Citizens on Patrol (COP). The essence of the Spirit of honor behind the profile of the COP is buried in the heart of the Creed of the Patriot. 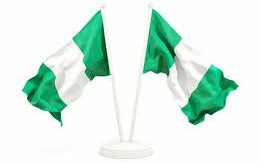 The dream Nigeria is a country where this massive security ‘VAR’ maintains a vigilance which ensures that any criminal thought is confined to the mind of the Originator and never finds support to translate into actions. Instances of crime should be preemptively contained in our dream Nigeria without a need to fire off a single round of warning shot. For obvious reasons to a sound mind of rational reason, our collective path toward this dream may lie in mobilizing our Traditional Institutions to coordinate the Patriots on this leg of the journey. Next ›12. 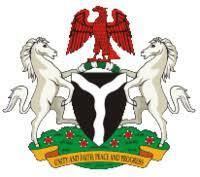 The Nearly Infinite Potentials Of The Nigerian Nation: A Tip Of The Iceberg.